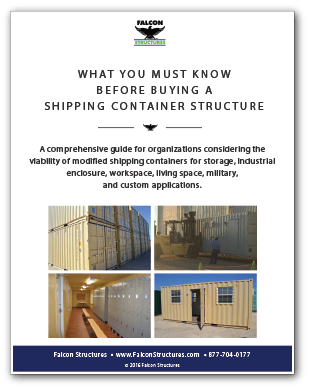 Our free guides and webinars contain valuable information to help you decide whether a shipping container is right for your business. Learn about industry specific applications and download step-by-step how-tos in our ebooks for designing and maintaining your container. We're always happy to answer your questions. 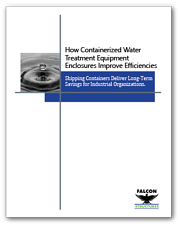 What can containers do for your business? 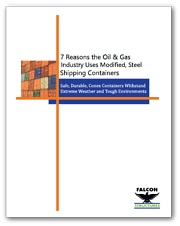 Decide if containers are right for you with our short webinar, Fast Answers to Frequently Asked Questions. 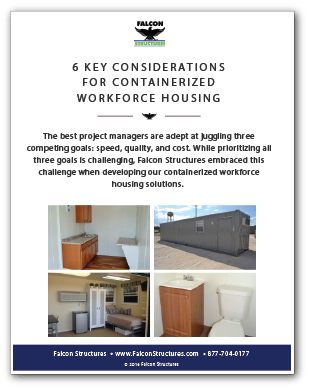 Condense hours of research on on shipping container structures into just 30 minutes, as Falcon CEO, Stephen Shang guides you through common inquiries. 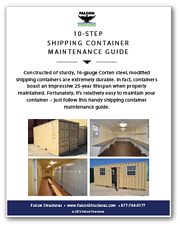 Storage space, work space, movable space, secure space - whatever the problem, whatever you need it for, shipping containers can be the solution. 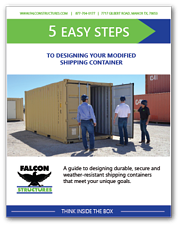 This short, 30 minute webinar will walk you through what you should consider before purchasing your next container. Get answers and learn how the evolving code landscape should impact your business decisions. Building code is notoriously difficult to decipher, but thanks to work led by the MBI’s Container Task Force, an end to the confusion is in sight. Download the slides from Stephen Shang's presentation at the Building Officials Association of Texas' (BOAT) annual conference. 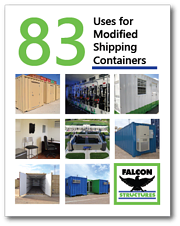 See the advantages of modular construction in our infographic's compelling statistics. 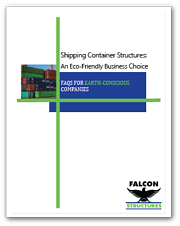 Blogs about Conex Container Basics. Or contact us! We're happy to answer any remaining questions you may have.